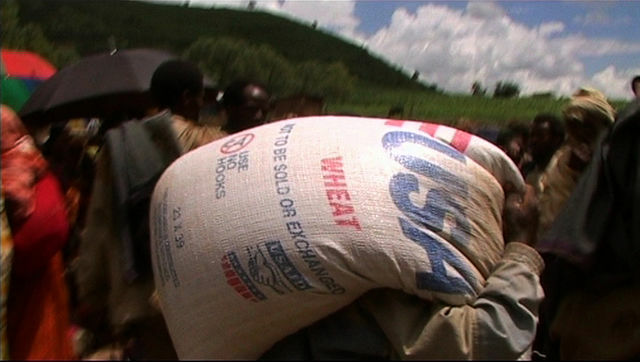 ADDIS ABABA, Ethiopia (AP) — Ethiopia’s government is calling for international assistance to help feed 8.2 million people after erratic rains devastated crop yields. Climate shocks are common in Ethiopia and often cause poor or failed harvests that lead to acute food shortages. The government has allocated $192 million for food and other aid and is appealing for $596 million in assistance from the international community for the remainder of 2015, said Mitiku Kassa, secretary of the Ethiopian Disaster Prevention and Preparedness Committee. More than 300,000 children are in need of specialized nutritious food and a projected 48,000 more children under 5 are suffering from severe malnutrition, according to a government assessment conducted in September. The situation is “incredibly serious,” said John Aylieff, an official in Ethiopia with the U.N.’s World Food Program, who said Ethiopia needs the international community to help remedy the worst effects of El Nino conditions. The conflict in South Sudan is also exacerbating the food insecurity situation, said Dennis Weller, the USAID mission director in Ethiopia. Since the outbreak of violence in South Sudan in mid-December 2013, hundreds of thousands of South Sudanese refugees have fled to Ethiopia and are living alongside local communities. “We are seeing malnutrition rates go up in some of the host communities. We are looking at ways of reducing the stress levels to the host communities in Ethiopia by providing supplementary feeding that could bring the malnutrition levels down,” he said.